A classic, English apple. Striped or blocked orange in colour with a yellow background and a white-yellow flesh. Crisp to bite with a sharp tangy taste. Everyone’s favourite cooking apple. Green in colour with the occasional red blush and a white flesh. A high level of acidity, and an excellent strong, sharp apple flavour. Green-yellow background colour with blocks or strips of red. 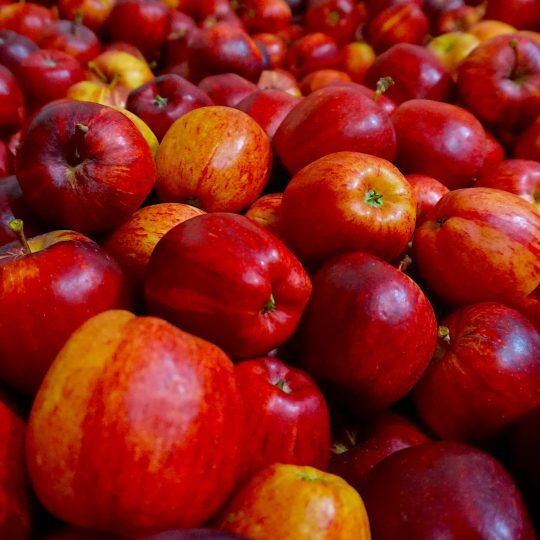 Crisp and juicy with a sharp and refreshing flavour, with a good balance of sweet to tangy. There is occasionally a hint of pear-drops to the flavour. A popular variety worldwide. Yellow-green background colour with strong red stripes or blocks. A sweet and juicy apple. 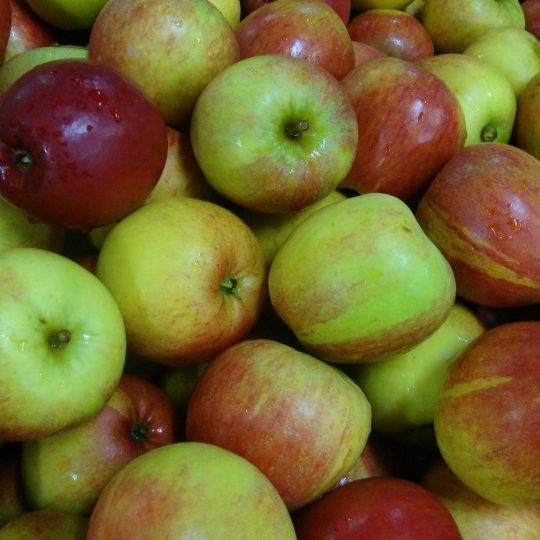 Consisting of Discovery and Worcester apple and are the first UK dessert varieties available. Discovery has a fresh yellow-green background with strong red patches. An acidic flavour with the occasional hint of strawberry. Worcester also has a yellow-green background with red patches. Crisp, sweet and juicy with the possible bonus of a slight strawberry flavour. The Conference is a sweet and juicy variety with a yellow russeted flesh. 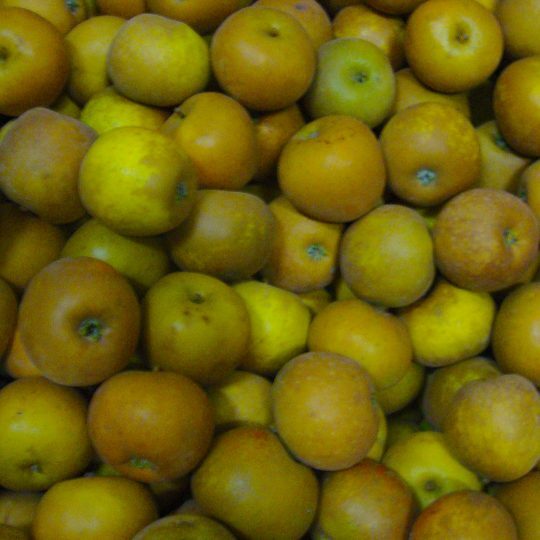 Comice are well know for their juiciness as well as having a soft, creamy but delicate flesh. Concorde is a conference/comice cross and exhibits the best characteristics of its parents. 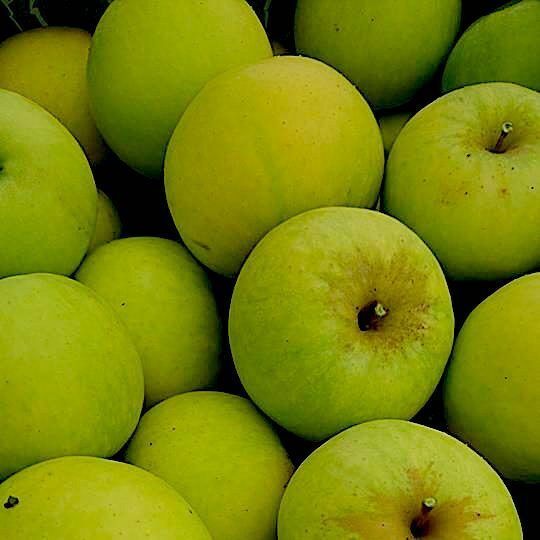 Traditional English variety with a golden appearance, rich, nutty flavour and crisp, firm flesh. This apple goes perfectly with cheese. 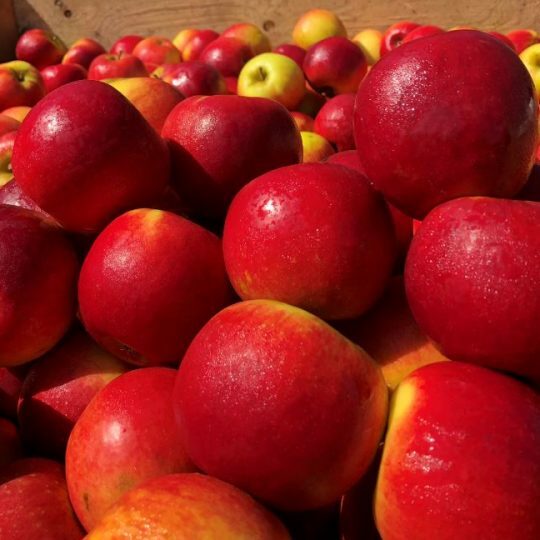 Red Windsor is red blushed apple with a green-yellow background and a yellow-white flesh. Firmly textured and has a rich aromatic but sweet and honeyed flavour. Spartan is bright crimson colour with a super white flesh. Crisp, juicy and sweet to eat. Red Pippin is the offspring of Cox, which give it a similar look and colouration with the stripes of red/orange. Crisp and sweet to taste. 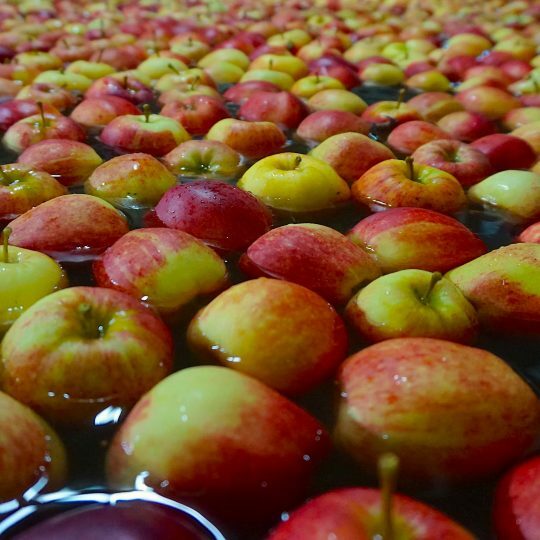 Refreshing, tasty, crisp apples with a 100% juiciness guarantee. Its attractive round shape and striking red colour make it irresistible. 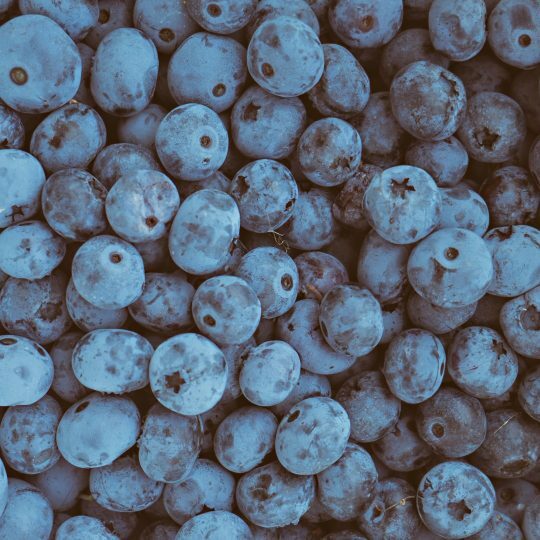 Blueberries have a slightly sweet taste which are juicy and pleasant. Cherries have a unique sweet-sour flavour that is becoming more popular across the country. Though they can be eaten fresh, they make delicious snacks in smoothies, energy bars, trail mixes and baked goods. 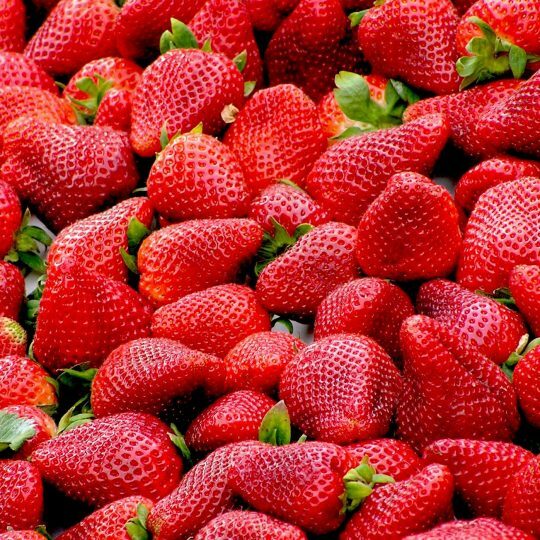 Our Strawberries are rich scarlet red with a glossy sheen. They are known for their sweetness, fragrance and complex flavours. 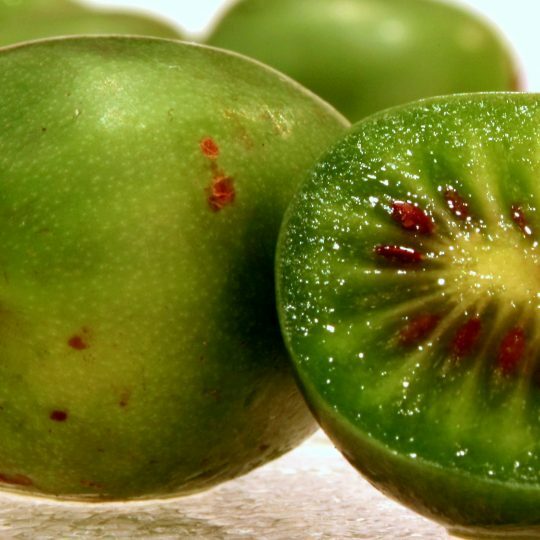 Kiwiberries are small, smooth green fruit. They are both sweet and flavoursome, resemble a standard kiwi but without the fuss of peeling.